. Pally Palette: at the end of the rainbow. 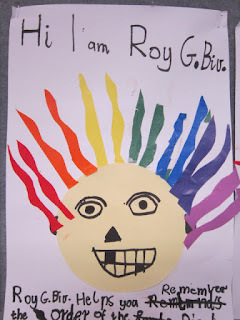 This year my teaching focus is on responding to the arts. In order to do this we need to learn about the language of the arts and the arts elements, Line Texture, Tone, Shape & Form, Space and of cource colour!So this term has been one where I have been doing activities and looking at art works that promote discussion using the arts elements. Over the last couple of weeks colour has been in the spotlight. 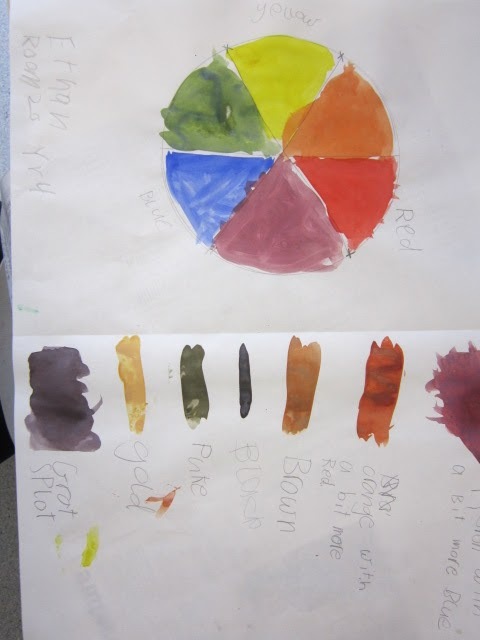 Although swimming has meant there has been a bit of disruption to the timetable, most classes have had time to play a game or two or especially the older classes at least look at paint chips from the hardware shop. 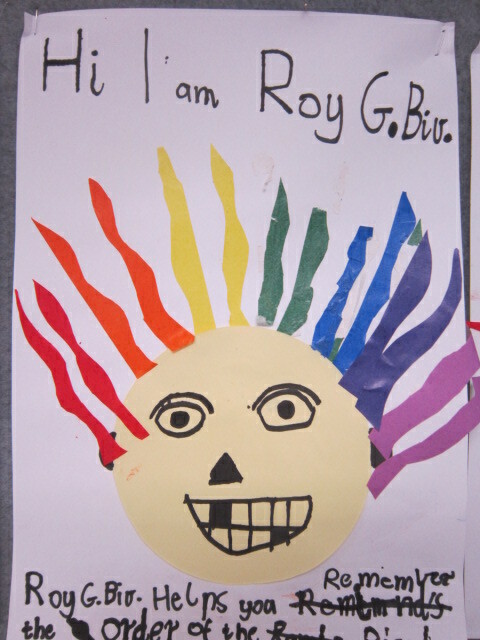 We mached colours, contrasted colours, grouped colours and were amused by the fanciful names they have been labled with. Middle and upper primary classes produced their own colour wheels and mixed their own colours to create 'recipes' for future reference. 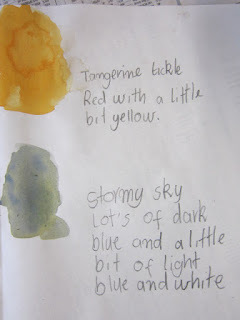 These will go into their Visual Diaries so they can find them if they would like to mix a colour for another project and check how they made them. 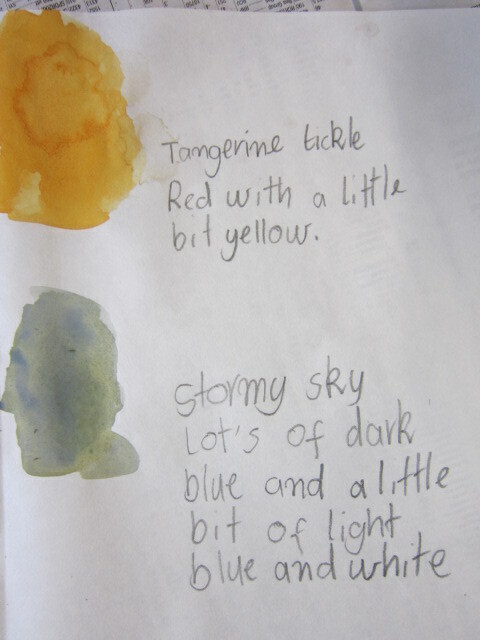 I asked them to come up with their own descriptive or fanciful names just as the paint companies do. 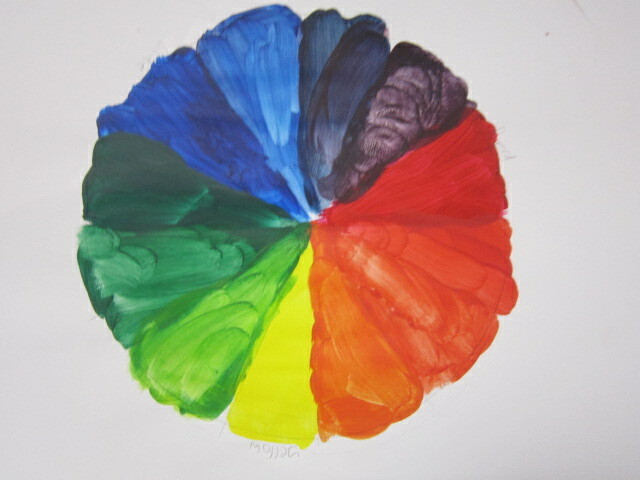 The juniors plus year 4 have been finding out about primary, secondary and warm and cool colours. 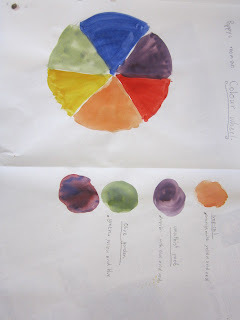 Here's a fun video clip about colours and colour mixing that I have been showing the kids. 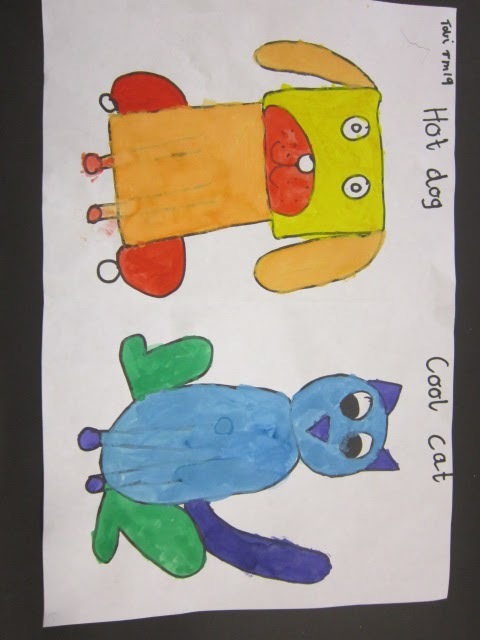 To help frmember these we made Hot Dogs and Cool Cats. 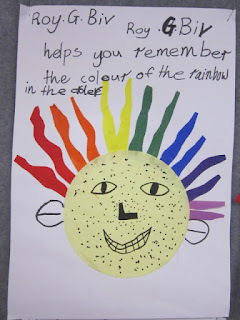 In my science & Maths class I thought it was a good opportunity to look at light and colour and the kids used prisms to create their own rainbows. 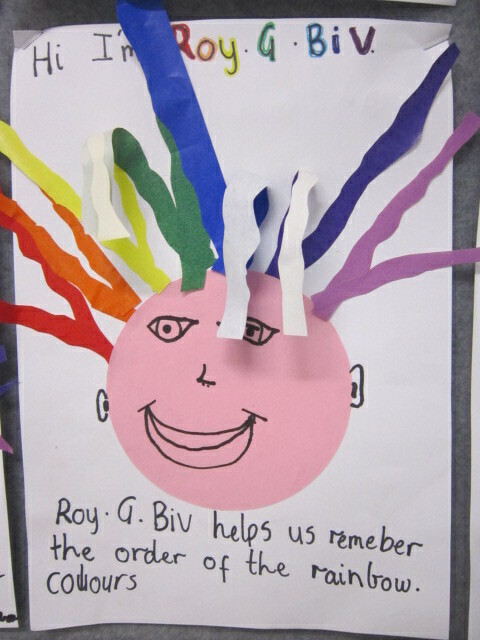 Then we made posters introducing ROY G BIV who helps us remember the order of the colours in the rainbow. Wabi Sabi, Happy accidents and Beautiful Oops!